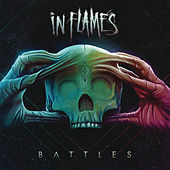 Along with At the Gates and Dark Tranquility, In Flames were architects of melodic death metal. All three bands were friends and lived in Gothenburg, Sweden, and incorporated keyboards and melodic vocals into their combination of Iron Maiden-style leads and death metal chug. They self-released their debut, Lunar Strain, in 1994, and that same year an EP, Subterranean, landed them a deal with Nuclear Blast. Still considered a touchstone metal album, 1995's Jester Race set the group on a long career path at the very forefront of melodic death metal, with ten studio albums by 2011. Their later records offer more "clean" vocals at the chorus than ever before, with no loss in intensity and guitar power. 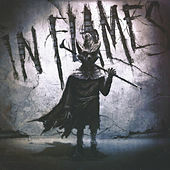 Regularly cited as a major influence by nearly every American metalcore band, In Flames continue to blaze trails.